Welcome back to the Friday Fiction Feature! I’m Tabatha Hanly (Research Assistant/minion to Dr. Schillace), and this week we’re exploring five versions of the dark, twisted aftermath of the post-apocalyptic world. So maybe you’ll want to curl up with a nice cup of tea and a teddy bear or two to remind you that it’s all okay…for now! mwahahahaha! earth. Rusted railways lead into emptiness. The ether is void and the airwaves echo to a soulless howling where previously the frequencies were full of news from Tokyo, New York, Buenos Aires. Man has handed over stewardship of the earth to new life-forms. alert everyone to the awful danger and to get help. He holds the future of his native station in his hands, the whole Metro – and maybe the whole of humanity. Now that we’ve begun with this chipper novel, let’s continue down the rabbit hole (or rather, metro rails) into more horrifying visions of the end of the world! (Mwahahahahah… okay I’ll stop that now…I promise). 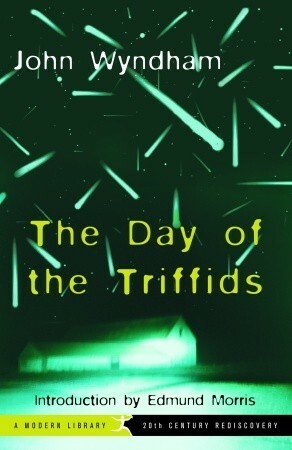 Next up is our oldest contribution for the day, The Day of the Triffids by John Wyndham. In 1951 John Wyndham published his novel The Day of the Triffids to moderate acclaim. Fifty-two years later, this horrifying story is a science fiction classic, touted by The Times (London) as having “all the reality of a vividly realized nightmare.” Bill Masen, bandages over his wounded eyes, misses the most spectacular meteorite shower England has ever seen. Removing his bandages the next morning, he finds masses of sightless people wandering the city. He soon meets Josella, another lucky person who has retained her sight, and together they leave the city, aware that the safe, familiar world they knew a mere twenty-four hours before is gone forever. But to survive in this post-apocalyptic world, one must survive the Triffids, strange plants that years before began appearing all over the world. The Triffids can grow to over seven feet tall, pull their roots from the ground to walk, and kill a man with one quick lash of their poisonous stingers. With society in shambles, they are now poised to prey on humankind. Wyndham chillingly anticipates bio-warfare and mass destruction, fifty years before their realization, in this prescient account of Cold War paranoia. foray into the workings of the unconscious mind. In what seems to be a fitting sequel to Dead City twenty years later, we bring you The Reapers are the Angels by Alden Bell. Zombies have infested a fallen America. A young girl named Temple is on the run. Haunted by her past and pursued by a killer, Temple is surrounded by death and danger, hoping to be set free. For twenty-five years, civilization has survived in meager enclaves, guarded against a plague of the dead. Temple wanders this blighted landscape, keeping to herself and keeping her demons inside her heart. She can’t remember a time before the zombies, but she does remember an old man who took her in and the younger brother she cared for until the tragedy that set her on a personal journey toward redemption. Moving back and forth between the insulated remnants of society and the brutal frontier beyond, Temple must decide where ultimately to make a home and find the salvation she seeks. indentured servants pedaling stationary bicycles. 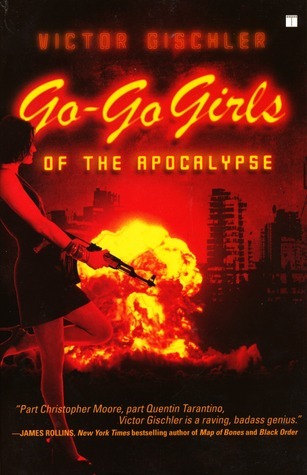 What little civilization remains revolves around Joey Armageddon’s Sassy A-Go-Go strip clubs, where the beer is cold, the lap dancers are hot, and the bouncers are armed with M16s. Accompanied by his cowboy sidekick Buffalo Bill, the gorgeous stripper Sheila, and the mountain man Ted, Mortimer journeys to the lost city of Atlanta–and a showdown that might determine the fate of humanity.